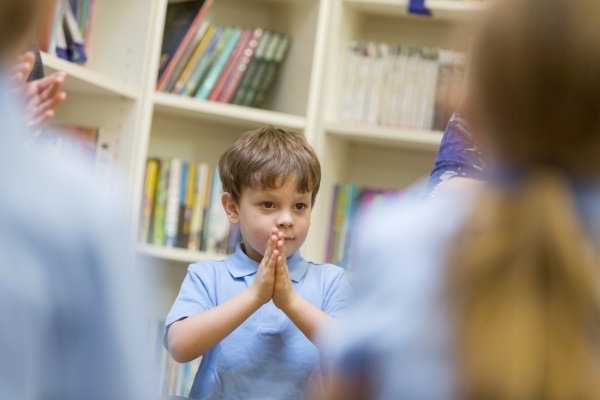 While the majority of state schools focus on the Ofsted inspection process for their self-evaluation, around a third must also prepare for a separate inspection of their faith character. Ofsted inspection is carried out under sections 5 and 8 of the Education Act 2005, and every headteacher in the country will be familiar with the Ofsted inspection framework. As school leaders are aware, a Section 8 inspection is a short, usually one-day, event while a Section 5 is a full inspection. However, a faith school will have a separate, additional inspection under Section 48 of the same act. These schools will make the process smoother if they have also carried out some self-evaluation around the areas to be inspected under Section 48. A faith school, or more correctly, a school which is designated as having a religious character, will probably have some faith-based criteria in its admissions policy. It will also provide religious education (RE) and collective worship according to the principles of its foundation. Under legislation, the governors of schools with a religious character must secure a separate inspection of ‘denominational RE’ and collective worship. However, in practice, it is invariably the faith-based provider that makes the arrangements for Section 48 inspection, so each faith and denomination have their own inspection framework and their own cadre of inspectors. My own experience of inspection includes many years of working with Ofsted and considerably longer as a Section 48 inspector, working with the National Society – the umbrella body for Church of England schools. I am also responsible for the Section 48 inspection framework used by two Sikh academy trusts. Both Church of England and Catholic school inspection is undertaken by the relevant diocese whose inspectors work with either the Framework for the Statutory Inspection of Anglican and Methodist Schools (SIAMS) or the appropriate diocesan version of the Catholic Education Service’s framework. The various types of Jewish schools are inspected by Pikuach (‘inspection’ in Hebrew), the Jewish Studies Education Inspection Service. Muslim schools are inspected by the Association of Muslim Schools (AMS) and most Sikh schools by the Network of Sikh Organisations. According to a recent Commons briefing paper, at the start of January 2017 there were 6,813 state-funded faith schools in England. The majority were primary schools; 6,176 or 37% of all state-funded primaries. The 637 secondary faith schools made up 19% of all state-funded mainstream secondaries. The proportion of state-funded faith schools has increased gradually over time from 35% of primaries and 16% of secondaries in January 2000. There is also a handful of non-mainstream Christian schools. This includes at least one primary school, for which the foundation body is the United Reformed Church, which does not appear to have a protocol for inspecting Section 48. The recent increase in faith providers has increased the need for Section 48 inspection because it is obligatory for schools with a religious designation. This has thrown up some anomalies. As seen above, the sixty or so Methodist schools are inspected through an arrangement with the Church of England. Similarly, Greek Orthodox religious provision is inspected by the relevant Catholic diocese. Hindu schools are inspected by the Krishna Avanti Trust. The Seventh Day Adventist schools are supposed to be inspected by the Conference of the SDA but, since I cannot locate a Section 48 report, I have an Freedom of Information enquiry under way. Section 48 inspection is broadly similar, regardless of the particular faith character of the school. The Church of England currently inspects the school’s Christian ethos, its collective worship, its religious education and leadership which, in this context, includes links with the parish church. Most Catholic dioceses also inspect collective worship, religious education and the Catholic life of the school. Pikuach, by contrast, has always mirrored the Ofsted framework in its inspection of achievement, teaching and assessment, curriculum, SMSC and leadership, albeit focused on Jewish education. This is also broadly true for Muslim inspections. The inspection framework operated by the Organisation of Sikh schools is broadly similar to the Anglican version. However, changes are afoot, with both the National Society and Pikuach about to release new and different inspection frameworks. For a leader new to faith schools, preparation for S48 inspection may seem like an added burden, and in many ways it is. However, in any school with a faith designation, a self-assessment against the obvious Section 48 headings will not be wasted when it comes to preparing for the real thing. Irrespective of a school’s foundation, self-evaluation could usefully be carried out against the following headings. Faith ethos. What makes this school distinctive as a faith school and how does the faith character impact on students’ academic, personal and spiritual development? Collective worship. Does collective worship meet statutory expectations? Is it characteristic of the faith and the ethos of the school? How does it affirm all who attend, irrespective of their faith or belief? Religious education. Does the school’s RE programme give students both an understanding pf the school’s foundation faith and also a good appreciation of other faiths and beliefs? Some school will also teach distinctive faith studies – how does this develop the faith of believing students and how does it contribute to the appreciation of faith in those of other faiths and none? SMSC. Some faith providers inspect SMSC separately from the school’s ethos. How successfully does the school promote students’ spiritual, moral, social and cultural development? It is important to appreciate that ‘spiritual’ does not equate to ‘religious’ and that RE is more likely to contribute to cultural rather than social development. Leadership. In a faith inspection, this aspect is about the way that leaders and governors ensure that the school is distinctive and effective as a faith school. This will usually include the partnership with the local centre of worship. Time spent in reflection now will save time when facing a Section 48 inspection.